P-0754 Alligator print embossed leather. 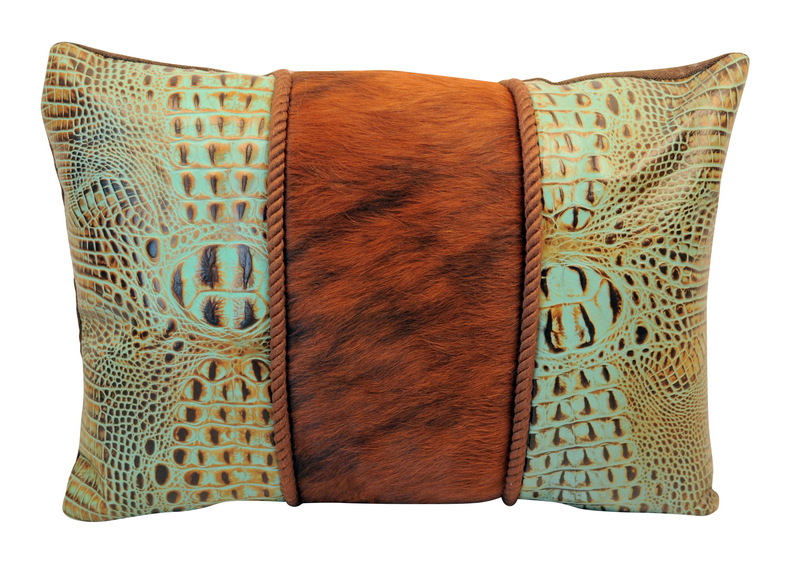 20" X 14"
Home > Pillows > P-0754 Alligator print embossed leather. 20" X 14"
Alligator print embossed leather in tan, turquoise and brown colors. This 3 section pillow with center section a beautiful brindle color hair-on-cow leather. Back is a matching brown fabric and has down and feather insert. Size: 20" x 14"